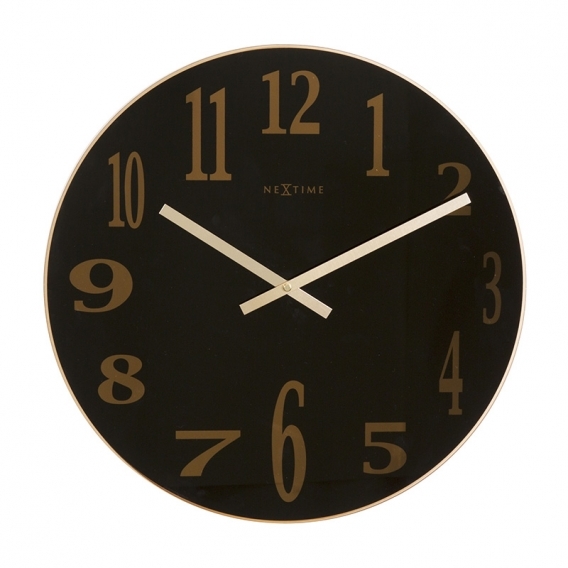 This wall clock will fit in all the rooms of your interior. It will be a splendid kitchen clock and will also be as decorative in your lounge. The dimensions of this design clock are 43 cm in diametre. Free 48/72 h delivery in metropolitan France and Belgium to get this elegant glass and copper clock. The most noble materials have been used to make this modern wall clock : black-tinted mirror glass for the hands of the wall clock and copper hands. The numbersdiscreetly stand out thanks to their copper colour. Each number has a different size giving this deco clock an air of impertinence. 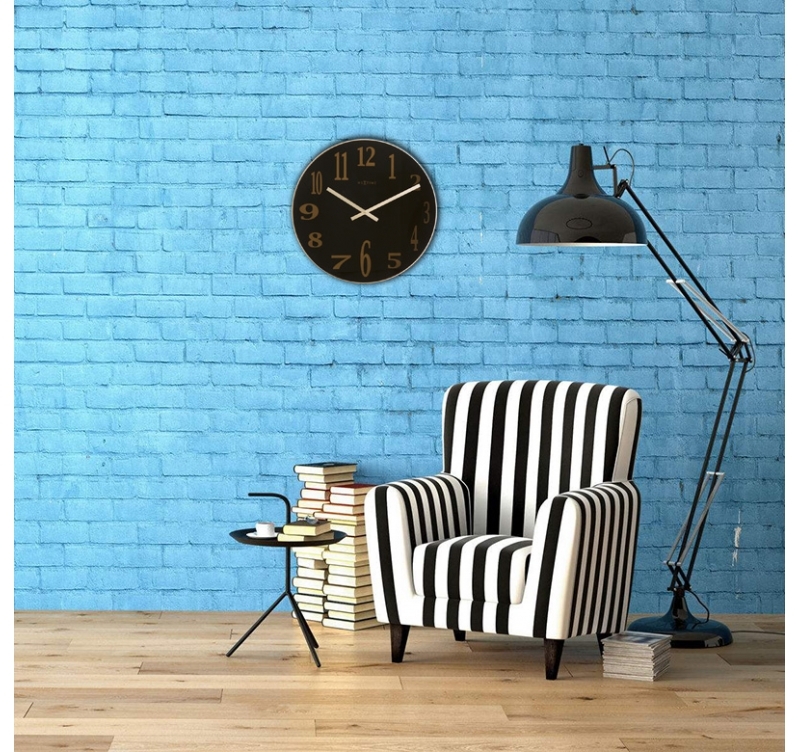 Its 43 cm in diametre give a perfect proportion to this modern wall clock that will fit in your lounge as well as in your kitchen whatever the style of interior decoration you have chosen.